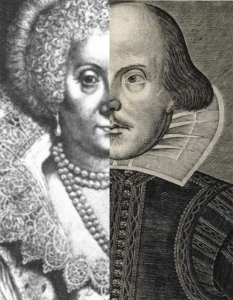 The fact that Lady Mary Wroth is a female contemporary of Shakespeare disproves Virginia Woolf’s view that any sister of Shakespeare could not have written drama. 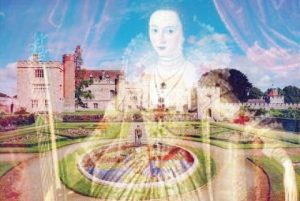 Love’s Victory is a powerful starting point for reviewing women’s history and 11 students from Simon Langton Girls’ Grammar School are working on aspects of Lady Mary Wroth, the production of Love’s Victory, and the early writing of the Sidney family at Penshurst Place, as part of the school’s Intellectual Vision and Endeavour Programme, which is directed by Ms Kate Cameron-Fleming. 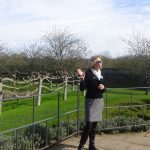 Ms Cameron-Fleming’s group visited on the 17th April 2018 for a themed house tour and garden tour of Penshurst Place and met with Professor Alison Findlay. 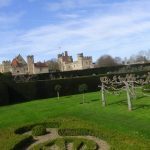 They looked at the portrait of Lady Mary Wroth and Lady Barbara Sidney to explore ideas of maternal and familial relationships. 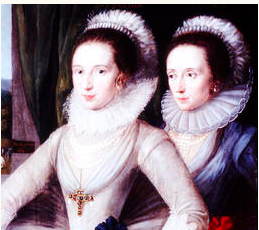 “Double Portrait of Two Ladies (probably) Lady Mary Wroth and Lady Barbara Sidney.” (1612) by Marcus Gheeraerts. By kind permission of Viscount De L’Isle from his private collection. 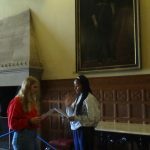 Students viewed the work from Els Van Den Steen’s class of examples of calligraphy using sixteenth and seventeenth century styles from individual pages of the ‘Book of Fortunes,’ a crucial prop in Lady Mary Wroth’s play Love’s Victory (1617). If your school would like to do this, get in touch!